To make a long story short, a new generation of talented and extravagant young guitarists who came of age in the burgeoning MTV era of the late ’70s and early ’80s needed more—in fact, demanded more—from their instruments. A small staff of highly skilled craftsmen answered the call with a new breed of high-performance custom guitars bearing Jackson’s own name on their headstocks. At the time, these craftsmen were just starting to taste success under the banner of Charvel’s Guitar Repair, an instrument hot-rodding shop in Glendora, Calif., that had been bought in November 1978 from their employer of 14 months, Wayne Charvel. Jackson-built Charvel guitars debuted in summer 1979 and quickly became the axes of choice for the flamboyant new breed of Sunset Strip guitar heroes whose loud, heavy bands were then being signed left and right by major record labels. A relatively unknown but phenomenally talented young guitarist named Randy Rhoads contacted Jackson in late 1980. Following a stint with L.A. metal outfit Quiet Riot, Rhoads had just joined former Black Sabbath vocalist Ozzy Osbourne’s new band and wanted to meet about designing a distinctive new guitar. Rhoads met Jackson designers just before Christmas that year, and they quickly designed the guitar together in the “original” Jackson way—by literally sketching it on a paper napkin. The resulting instrument, dubbed the Concorde for its angularly futuristic shape (and the aircraft on which Rhoads had returned to the United States from a U.K. tour with Osbourne), was a sleek white guitar with an offset V-shape, neck-through-body construction and, for the first time, the name “Jackson” on the headstock. Although the Concorde truly was the first Jackson guitar and there are many photos of Rhoads playing it, it was eventually rejected in favor of a second version that boasted many features suggested by Rhoads himself. Sadly, due to Rhoads’ tragic and untimely death in March 1982, this guitar was only photographed in his hands a few times. That said, the second model became the legend—the very first guitar known and revered worldwide as the Jackson Rhoads. From the early ’80s on, heavy metal history would be written with Jackson guitars, staking their claim as a wilder, high-performance alternative to their more traditional Charvel® cousins. 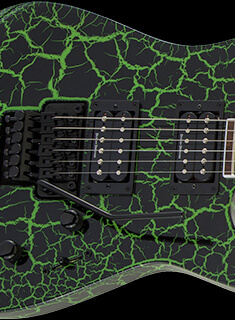 Jackson’s talented, often demented henchmen quickly created their own renaissance in metal guitar design with a slew of highly original models, and the popularity of Jackson guitars exploded in the early and mid 1980s. 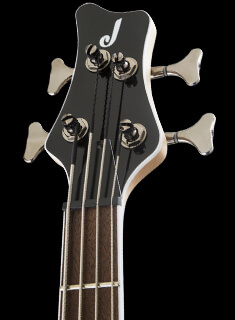 Legendary and enduring Jackson models including the Kelly™, King V™, Double Rhoads, Soloist™, bolt-on neck Dinky™, and Concert™ Bass all appeared during this fertile period, joined later in the decade by the equally successful PC1 (based on Jackson’s signature model for Def Leppard guitarist Phil Collen) and Jackson’s most outlandish body design, the devilishly X-shaped Warrior™. Metal music continued a vigorous and highly diverse evolution on both sides of the Atlantic during the ’80s and ’90s, and Jackson melded seamlessly with each and every sonic mutation—thrash metal, speed metal, death metal, the NWOBHM, goth, industrial, nu metal, skate metal, grunge, metalcore, rap metal and countless others. Recent years have seen Jackson continuing to flourish, with all of the company’s most famous models—custom and production series alike—enjoying great success. 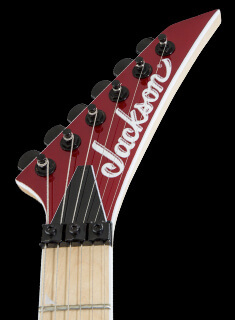 Jackson signature instruments have also come into their own, with magnificent models bearing top metal names such as Chris Broderick (Megadeth), Corey Beaulieu (Trivium), David Ellefson (Megadeth), Phil Collen (Def Leppard), Mark Morton, Phil Demmel (Machine Head), Chris Beattie (Hatebreed), Adrian Smith (Iron Maiden) and others. 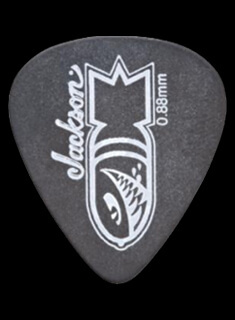 Further, the Jackson Custom Shop remains the longest-operating true custom shop in the United States, with many members of its original staff still there and still doing what they do best—providing axe-wielding metallurgists worldwide with world-class high-performance instruments that have no equal. And so, in keeping with its breathtaking three-decade heritage of excellence, the Jackson legend continues to thrive and grow—without fear or compromise.